In 1910, a terrible plague swept through the former Czechoslovakia during the Christmas season. It was diphtheria, and it devastated the little Czech village of Velky Slavhov.Nearly half the village contracted the infectious disease, and many of the victims were less than ten years of age. Whenever a member of a family would show symptoms, a large black “X”would be swabbed on the doorpost of the house as a warning that it had been quarantined. There was an “X” painted on the doorpost of the home of Jano and Suzanna Boratkova. In little less than a week, the young couple, parents of three, found themselves childless. Their oldest child, a five- year-old daughter, had been the first to go. And even as Jano was working in the wood shed, pounding together a coffin for her, his two sons were dying. As the two young boys breathed their last, Suzanna broke into agonizing sobs. She cleaned and wrapped the two boys for a final time and carefully laid them in hand- made pine caskets. She and Jano lifted the coffins onto the wagon and started the slow journey through the biting December cold and the foot-high snow toward the graveyard. They passed by house after house marked with an “X,” but they didn't have the strength to offer sympathy or encouragement. They were too wrapped up in their own grief. The young couple laid their children in freshly-dug graves and struggled through the Lord's Prayer. Then they trudged back to the wagon and returned home. No one was there to meet them. It was too dangerous, for the house was quarantined. It was a frightening, dark little tomb. Little high-heeled brown leather shoes were still lined up against the wood stove, as they usually were when the children were tenderly in bed. But now the beds were empty, the house was cold, the shadows deep and cold. Jano himself was sick. “I won't see another Christmas,” he said, wheezing and coughing. “I don't think I'll see the New Year in, either.” He pushed away the soup and bread, for it was too hard for him to swallow. The diphtheria had tied a noose around his neck, allowing neither food nor sufficient air to sustain him. Suzanna gathered some kindling and lit a fire for the night, sure that her husband was about to die. The snow was starting to fall again, and she paused to gaze through the window. Her mind went to a verse of Scripture-- Psalm 121:1, "I will lift up mine eyes unto the hills from whence cometh my help. My help cometh from the Lord who made heaven and earth." Suddenly she saw someone approaching, a peasant woman tramping through the snow, a red and purple plaid shawl draped over her hunched shoulders. A kerchief was wrapped around her head, and her long skirt was a bright display of cotton and linen patchwork. In one hand, she held a jar of clear liquid. She approached the house and knocked on the door. Then, having left her folk remedy against diphtheria, she turned and left. Suzanna followed the woman's instructions, and early Christmas morning, Jano retched up the deadly phlegm. His fever broke, and Suzanna entertained a flicker of hope. There were no presents under the tree that year, but an old woman with her jar of oil was a gift of life. Jano recovered, in time. The Lord gave the couple more children. In the 1920s Jano and Suzanna emigrated to America with eight children, which included a set of triplets and two sets of twins. It’s a story that has been handed down through the generations of that family, the little peasant woman who came on Christmas Eve bearing the gift of life. 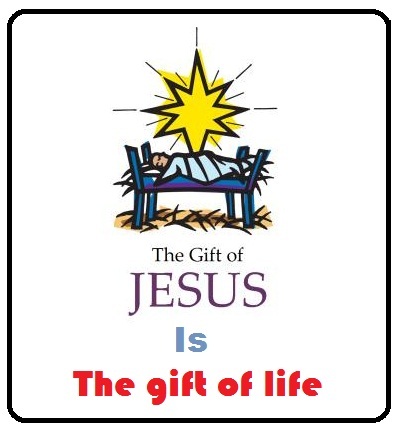 Jesus, too, came on Christmas bearing the gift of life for hopeless, grieving dying people. He came for Jew and Gentile. He came for you and me. If we could believe and receive the gift of life in Jesus which God has given to us freely, then we and our generations will remember this good decision that we have dared to take for generations down the line. God can only bless you and me only one way, and through that way only can remove the curses that come against us, and that one way to life eternal with God is the way of believing and receiving Jesus in our heart to be our Lord and Savior of our life. If you are not sure that you are saved, now is the time to invite Jesus in to your heart by saying, "O Jesus, I am a sinner and cannot save myself. Please come in to my heart and save me from sin to give eternal life of God forever. Thank you for being my Savior and Lord of my life from now on." May we be grateful to God for the gift of life we have received in Jesus all the days of our life and may our succeeding generations follow us to glorify God through their lives too more and more. Kudos to this inspiring article! 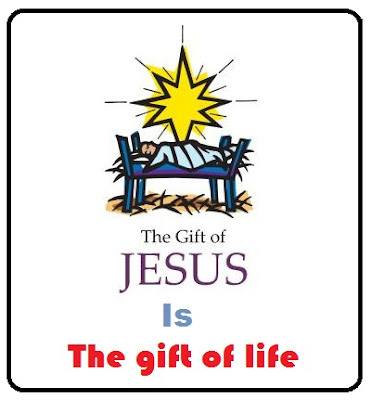 Indeed, the gift of life is the best present that mankind has ever received. Keep inspiring the readers by posting more worthwhile blogs.